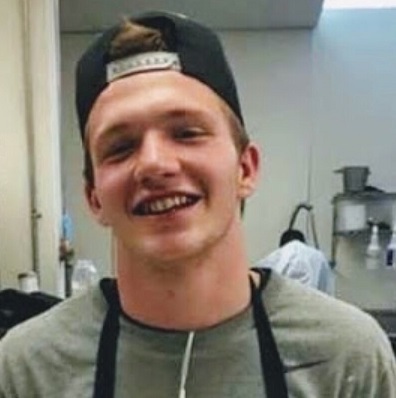 Stephen Alfred Volsted, Jr, 19, passed away on August 10, 2018. He was born in Chicago, IL on December 23, 1998. Stephen lived in Rogers with his father and brother until moving to Little Rock where he worked. He was well loved and liked by all who knew him. He attended Kirksey Middle School and Rogers High School where he played football. He led the Kirksey Cougars to an undefeated season in 2012 and was voted defensive MVP in 2013. He lost his mother to breast cancer in August of 2010 and a brother in August, 2014. Stephen is survived by his father, Stephen A. Volsted, Sr; brother, Michael; sisters, Samantha and Nicole; uncle, Russell; aunt, Nancy and many friends. Memorial Service will be at 3:00PM, Friday, August 24, 2018 at Stockdale-Moody Funeral Chapel in Rogers.